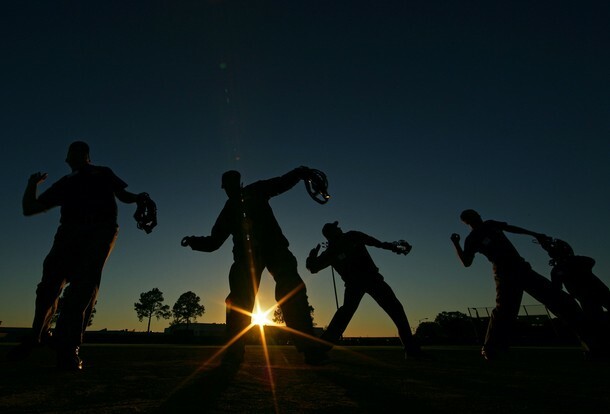 Student Umpires perform a signal drill during the Jim Evans Academy of Professional Umpiring on January 28, 2011 at the Houston Astros Spring Training Complex in Kissimmee, Florida. Awesome. I love to remember that umpires -- and mascots -- have training and camps and whatnot.